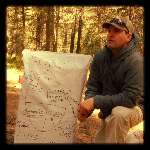 SOLE Experiences – Selkirk Outdoor Leadership & Education (SOLE), Inc. The backcountry is as unpredictable as it gets. Like other remote regions throughout the United States, living and traveling in the backcountry of the Inland Northwest often results in interacting with the dynamic nature of the land we are traveling within. These factors are delivered from experiencing unpredictable weather patterns, possible wildlife encounters, forging swift cold rivers, traversing in avalanche terrain, navigating wildfires, missing rock fall, and so many other factors – all of which are simply out of our control. All we can do, is use the skills we have developed and our best judgment to not be irresponsible or complacent. The beauty in that which we might fear are the lifelong lessons that these moments create. In fact, it’s why we go out there to RE-create, and furthermore, it’s why SOLE uses these environs as our preferred classroom setting. It is in these novel educational settings SOLE participants are provided real challenges, with real consequences and as a result are able to truly develop personal character and grit, while simultaneously providing opportunity for those we serve to master outdoor skill and leadership competencies. Because of the stated unknowns, as our partners at The Leave No Trace Center for Outdoor Skills and Ethics often say, it’s best to Plan Ahead and Prepare for what may arise. Many outdoor enthusiast do not adequately prepare before venturing out. Best case scenario, they become a case study for us to consider to not repeat the same mistakes. Unfortunately, it doesn’t always end well. Why should we Plan Ahead and Prepare? Let’s investigate further based on a recent article from Rich Landers of The Spokesman-Review that underscores the “why”and serves as an excellent case study. Click here to read the article for a personal account of being unprepared in the backcountry. As we can see, more than 100 individuals were trapped, uprepared in what could have been a potential deadly situation. As luck would have it, there was someone that did have military training, cell phone coverage, and a smart phone application all of which assisted in getting the group out safely. What would have occured had the technology failed and/or they not had the leadership to assist them? Obviously, the outcomes would have been much more chatostrophic. So that is why, when dealing with any backcountry environment we need to Plan Ahead and Prepare, so we can thrive, not just survive. First, let’s take a look at the 4 considerations that are critical to any backcountry user. Create and use a Travel Plan. Understand what to do when lost. Utilize an effective layering system. Knowing how to use a topo map and compass is essential for any backcountry user – especially when technology fails. Simply put, a Travel Plan IS your first line of defense. It let’s folks know where you are going, and how long you will be there, and when you will return. When heading out to the backcountry it’s always a good idea to leave a plan of your trip with friends or families. Estimated Time of Departure (ETD) – when you are leaving. Destination – include trail numbers, road access, etc. Estimated Time of Arrival (ETA) – when you are returning back. Copy of Route – include maps as appropriate. Along with the 13 essentials (see below), but also appropriate clothing and gear to deal with inclement weather should the need arise. Layering systems are the norm for backcountry travellers consisting of largely polypropylene and wool clothing fabrics as the go-to. Yes, even though it’s hot during the day and it’s summer you can STILL get hypothermic. An effective layering system can provide effective thermo-regulation allowing the backcountry traveler to stay cool and warm when necessary. It is important to note, cotton is not a great fabric for when the mercury begins to dip and will only serve to strip heat away from your body once wet promoting heat-loss and possibly leading to hypothermia. We will explore heat-loss and how to regulate it effectively in the coming submissions. A good consideration for most days is while it may be hot most summer days, when traveling in the mountains it can go from hot to cold and wet rather quickly. Sun/bug protection (top/bottom). Convertible zip-off pants are great. They provide adequate sun/bug protection and can be zipped off to keep cool when needed. Also, long sleeve button up sun shirts are great for the same reason. Often, some models are vented to be more comfortable in hot weather while also provide adequate coverage. It is also a great idea to consider a sun hat (baseball style or wide-brimmed – the later has better protection), sunglasses with a retaining strap, and most certainly sun block! Like inclement weather, sun itself is a real environmental threat so when venturing out into the backcountry we want to prepare accordingly. A wicking layer (top/bottom). Lightweight polypropylene is ideal. It’s designed to wick the moisture directly from your skin to the outer layers and dries quickly when wet. Insulating layer (top). A common mid-weight fleece works well. This layer will serve to trap air and keep you warm when needed. You can find them at most gear shops and even thrift stores. Wool will also work well, which can be found at Army Surplus stores. You say it’s hot. What happens when you have to spend the night, and the temps drop. Yep, it can even snow in the summer in the lower 48. A waterproof shell (top/bottom). “Rubberized” coated nylon works well when not active; they trap heat when moving versus transferring heat from the body – causing you to sweat. Again, the goal of a layering system is to effectively trap and move heat when necessary. Therefore, we recommend a waterproof-breathable shell layer. Also, it is important to note, there are other options out there on the market that work well besides Gore-Tex, which are far more affordable so we recommend shopping around. A wool or fleece hat. While it’s a myth that you body loses most of your heat through your head you can transfer a fair amount of heat there if not covered so we recommend throwing one in your pack. A simple day backpack can provide ample room for all the gear that you will need when things go from bad to worse. The following 13 items should be included in your pack at all times in case of an emergency or if you are unexpectedly caught out overnight. You may not use all of the essentials on every trip, but they could keep you alive in an emergency. Topo Map – Let’s face it technology like iPhones and GPS’s are great, but they fail. A topographical map is fail proof method to navigate the backcountry. Learn how to use the map efficiently or it will add needless weight. Place it in a plastic zip lock bag and carry a pencil to triangulate. Compass – Get a reliable compass from a name brand like Silva. Make sure it has a straight edge. Know how to use your compass or it is useless weight. Flashlight – Headlamps are great, but small bright flashlights are sufficient. Make sure you have fresh batteries in your light before you leave and pack enough extra batteries to last your trip. Many people carry an extra bulb as well. Knife – Pocket knife, sharpened to your liking. Multi-tools are great, as are knives with two good blades. Lighter / Matches – Wooden, strike anywhere matches, waterproofed in a good waterproof container are great. Lighters can fail if not kept dry. Fire Starter – Two 3 to 5 inch hard wax candles work well. In the Inland Northwest we have the great fortune of having birch bark which works great. Extra Clothing – Bring an extra set of clothing suited to the worst possible conditions you could possibly encounter for the area and time you are visiting. Including a beanie is a great idea! Extra Food – High energy foods, such as Power Bars or even a Snicker bar are great. Water – One liter minimum, and way to treat water is a great idea. First Aid Kit – There are many good first aid kits available commercially, or you could build one yourself. Always consider carrying it in a waterproof container. Sun Protection (sunblock / sunglasses) – Dark lenses with 100% UVA and UVB protection, or nearly so. Zinc oxide or sun block with SPF 15 or higher is preferred. Waterproof or “sweat proof” sun block recommended. Don’t forget a sunhat and long sleeve shirts in sunny climates and/or summer seasons. Emergency Shelter – A small plastic tarp or two large plastic contractor bags will keep the wind and rain off ofyou. Signal Devices – Many hikers carry a whistle and a mirror. Discarded CD disks can even make an adequate signaling mirror. When in survival situation getting found often relies on using other methods beside your voice. When your lost do the right thing – STOP. You’re lost, now what? STOP. S – top – When you’re lost there is nothing worst that continuing down a route that you “think” may pan out. It most situations (non-threatening) staying in one location can be best so rescuers can locate you sooner. T – hink – When you’re in your “reptile brain” it’s pretty easy to go to “fight or flight”. It’s important to not flip your lid, and stay in your pre-frontal cortex, so you can rationally and logically consider your options at present, and what will be needed to thrive down the road. O – bserve – Once you are grounded, consider your options. Do you have enough available resources around you to sustain you and your party, and what can be used? Are there any actual threats to life or limb which require your immediate attention? What is the best method to signal for rescue? P – lan – Once you have weighed your options make the most sound plan possible. Consider all the perceived and actual risks that could result in decisions presented. When time is available provide ample opportunity to shoot holes in your plan, and re-work to come up with the best plan possible solution that will allow you to thrive until the Calvary arrives. SOLE teaches outdoor living and travel skills such as the ones mentioned here during much of its day-based and expedition-based backcountry programs – in addition we offer stand-alone outdoor skill workshops. For more information on SOLE’s programs and/or to register for an upcoming SOLE Experience go to www.soleexperiences.org or contact us at info@soleexperiences.org or 928.351.SOLE.